» Thermal Protection for Reentry and Hypersonic Systems Materials Research & Design, Inc.
Materials Research & Design (MR&D) has extensive experience in the design, fabrication, development and testing of composite and metallic components for extreme thermal environments. From the Space Shuttle Return to Flight effort, to refractory metal heat pipe cooled leading edges for Prompt Global Strike (PGS), to hot structure control surfaces for the Space Orbiting Vehicle, MR&D has an established track record of accurate modeling and analysis leading to successful designs for a wide variety of applications. MR&D was heavily involved with NASA’s On-Orbit Space Shuttle Thermal Protection System (TPS) Repair program, which was initiated in response to the Columbia accident. 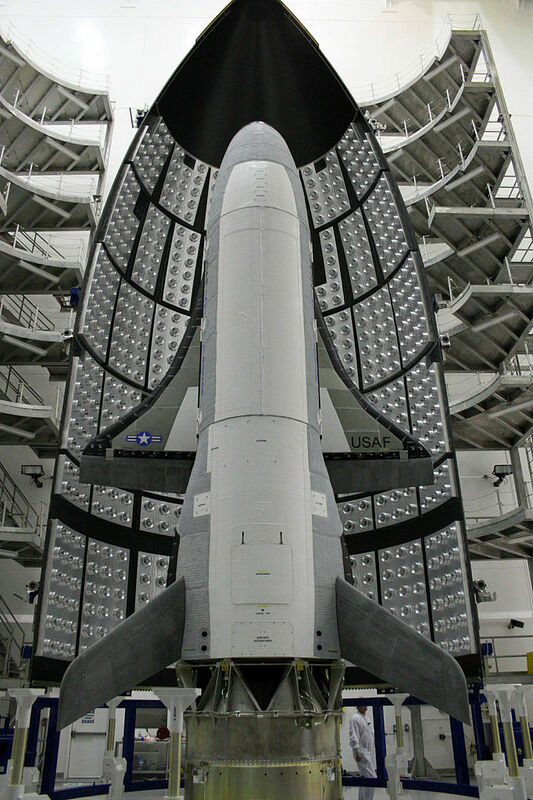 In cooperation with engineers from NASA, ATK and GE, MR&D contributed to the design, analysis and development efforts of five different Space Shuttle TPS repair concepts from 2003 to 2008. 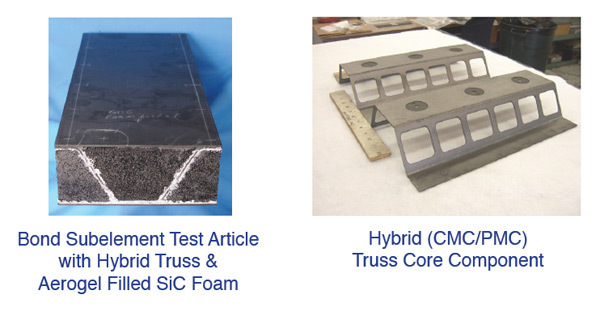 Four of these concepts employed GE’s C/SiC ceramic matrix composite material and advanced metallic or composite fasteners, and were intended to repair relatively large damage regions on the RCC Wing Leading Edge panels and the silica tiles on the windward reentry surface. The fifth repair concept was a highly specialized pre-ceramic polymer caulk-like material intended to repair surface coating cracks on the RCC Wing Leading Edge panels. 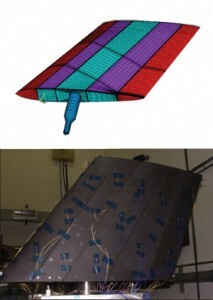 MR&D analyzed all of these concepts using advanced finite element methods, including numerous post-test correlations, and was also NASA’s contractor of choice for emergency analysis of on-orbit Wing Leading Edge crack repairs. MR&D specializes in the analysis and design of both parasitic and loadbearing TPS for acreage regions of hypersonic cruise and reentry vehicles. MR&D has designed panels using various types of composite materials, including C/C, C/SiC, SiC/C, SiC/SiC, and Oxide/Oxide. A typical analysis procedure includes TPS thickness sizing based on the specified thermal profile to ensure survivability under extreme temperature loading. Thermalstress analyses are performed to identify regions where thermal expansion mismatch effects may lead to unacceptable stresses and margins of safety. Detailed structural analyses consider the effects of acoustic and gravity loads, buckling, aero and/or surface pressures, and skin friction conditions to uncover regions of structural weakness, identifying locations where failure is likely to occur. Finally, combined thermal and structural analyses look at the effect of simultaneous heating and loading profiles. MR&D’s experience includes designing panels capable of withstanding the required environments, generating engineering drawings for test article fabrication, predicting failure modes and load levels for these systems, providing test support for evaluation of the test articles, and using measured data and lessons learned to improve the designs.